By Kate Dagli in Toolkit. Updated on November 21, 2018 . Successful design teams require many things:ÃÂ individuals with similar skills and diverse skill sets, a project manager or team leader who can pull everything together, and an environment that encourages active collaboration. In the absence of strong leadership, or a lack of the ability to collaborate openly or freely, a team’s chance of success can beÃÂ undermined – no matter what skills are brought to the table. A team, and its leader, will also benefit if it chooses the right tools. These willÃÂ help manage the workflow, encourage collaboration, and take care of the business side of things.ÃÂ ÃÂ A a result, everyone willÃÂ to focusÃÂ on design. Even if the best tools are on hand, such as those listed here, a team leader needs to pay attention to the following overlookedÃÂ guidelines. Team member roles need to be constantly clarifiedÃÂ to prevent task oversight or duplication of efforts. Team member responsibilities must be stated clearly and explicitly.ÃÂ Responsibilities assigned to small groups, or the entire team, have a tendency not to be carried out. Identify groups or individuals who are responsible for making specific decisions. If groups are involved, the method by which decisions are to be reached also needs to be made clear. Continually review team and project goals.ÃÂ If this is not done, individuals and/or teams tend to lose focus. Use specific tools to carry out specific functions. Productivity suffers when the wrong tool is being used for a specific task. The following tools offer solutions for a range of project management, workflow support, idea sharing, and team collaboration issues. If sharing your work becomes a source of anxiety and disruption, Wake has the answer. 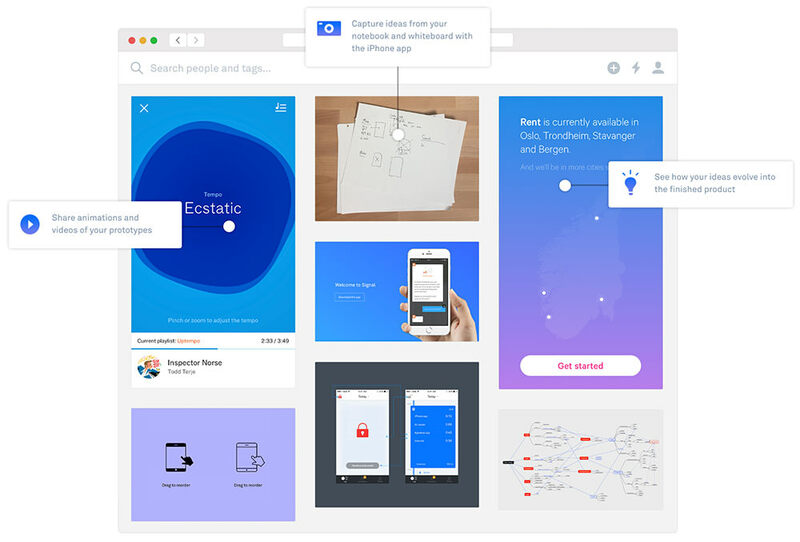 This design collaboration platform allows you to easily share screenshots, sketches, or other important work without having to exit from your Sketch, Photoshop, or Illustrator design sessions. You can also instantly share notebook content or whiteboard information with your colleagues using Wake’s iPhone app. Just snap a picture and send it off. The iPhone app also allows you to keep informed of feedback and communicate with others while on the go. The ability to share your work and thoughts without having to worry about workflow interruptions makes the entire design process more transparent, which allows your team to work more closely. Sign up for a 30-day free trial, and find out how you can simplify sharing and create better design work as a team. When design workflow and project management tasks are being managed on several different platforms, the resulting inefficiencies can lead to productivity issues. InVision will make your team more productive because it manages prototyping, project management, and collaboration functionality from a single platform. This powerful tool makes prototyping easy. 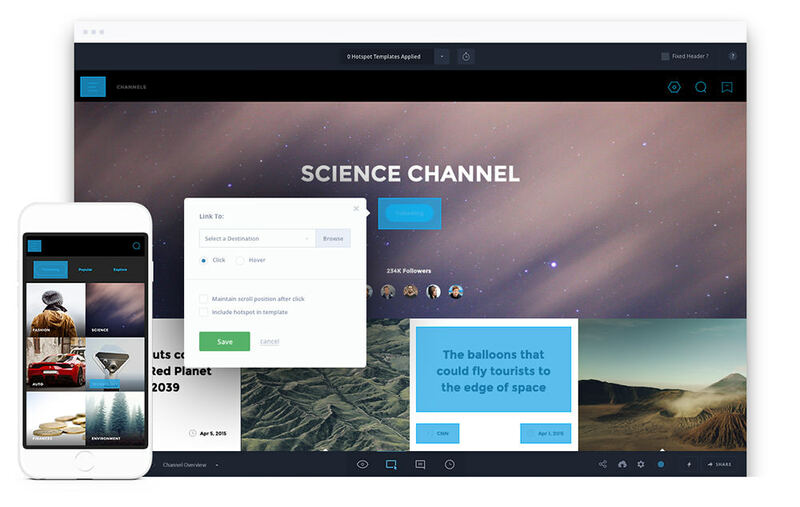 Upload your design file, add gestures, transformations, and animations, and you can create a full-fledged, high-fidelity, interactive prototype in 5 minutes or less. Sharing it with others is easy, and any modifications made based on feedback can be placed under version control. Startups, corporations, design agencies, and freelancers make up InVision’s 2 million strong user base. Adobe, AT&T, Dell, Sony, and Cisco are but a few of the large companies whose design teams rely on InVision. Request a free trial, and you can work with a single prototype as long as you want while you look further into what InVision has to offer. Active Collab is a one-stop solution for your business needs. You can use it to organize everything you are working on, track status on daily operations, schedule future tasks and milestones, and prepare estimates and invoices. 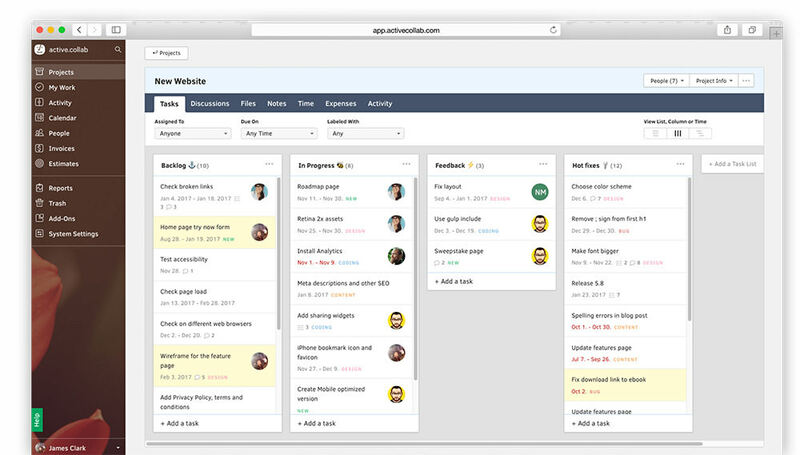 This powerful tool lets you track your to-dos, keep your work organized, and encourage team collaboration. Active Collab runs on the cloud. There are no setup requirements, and you can be up and running in a couple of minutes. If you would prefer to run Active Collab on your own server, that option is available for a one-time fee. Over 200,000 people use Active Collab, including teams from NASA, Intel, and Apple. Take advantage of the 30-day free trial and find out if this powerful app is the right solution for you. If your team works for a small or medium-size business, Paymo may be just what you looking for especialy if you’re in need of a tool that makes project management easy. Its visual Kanban boards and Gantt charts can be customized to fit your workflow so you can schedule your tasks through logical, sequential steps, change or add tasks, or organize tasks into lists. Paymo gives you a real-time team collaboration capability. Its features also include time-saving project templates and a dashboard system that displays project overview information on demand. To find out more about Paymo, simply ask for the 15-day unlimited free trial. Project management can easily become a difficult task if project planning activities weren’t properly done in the first place. Pinnery is the perfect planning tool to get your project off to a good start. Place your ideas on Pinnery’s color-coded board. Move the ones you wish to pursue to the to-do column, and attach any relevant files or other information. 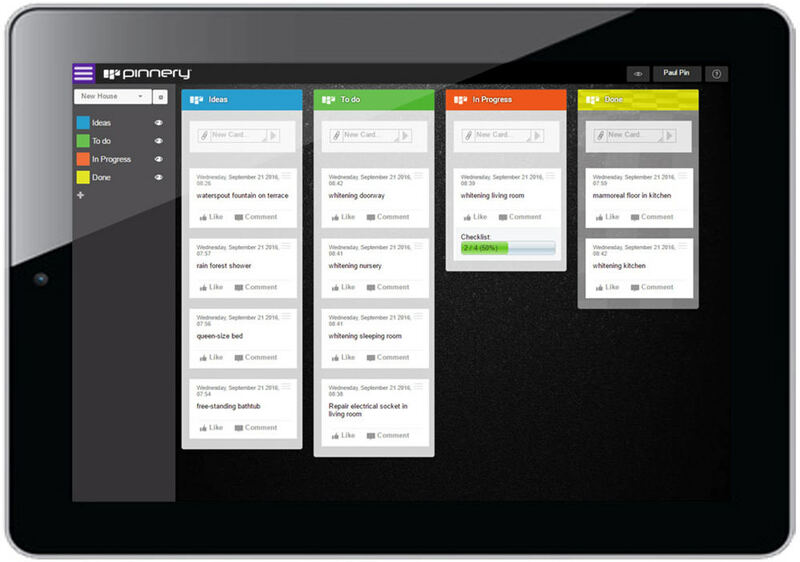 As your project begins to unfold, Pinnery keeps everything organized, and shares everything with all parties involved. This easy-to-use tool encourages collaboration among team members, no installation is required on your part. Better yet, you can start for free. There is a solution here for everyone, teams and individual designers alike. InVision supports your prototyping as well as your project management activities. Wake allows you to share information without disrupting your design activities.ÃÂ Active Collab manages your business needs, giving you more time to spend on what you do best Ã¢ÂÂ design. Paymo provides an excellent project management solution for smaller team activities.ÃÂ And if your project planning attempts have not gone as smoothly as you’d like, the Pinnery app is worth a closer look. Each of these tools support an activity that is vital to a project’s success.ÃÂ And each offers a free trial, giving you an excellent opportunity to determine which is right for you.